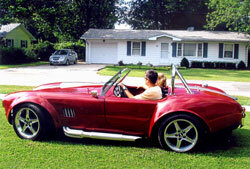 Most couples leave their wedding in a limousine or horse-and-carriage. 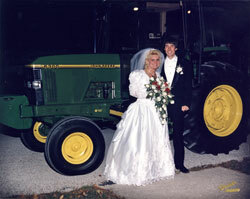 Trent and Jennifer Brandenburg left their wedding in a John Deere 6300 tractor in 1996. Brandenburg Farms are headquartered just south of Cerro Gordo, Illinois, on Illinois Highway 105. The Brandenburg family has generations of experience farming land in Piatt County, Moultrie County, and Macon County in east central Illinois. Trent and Jennifer Brandenburg’s families have farmed this rich prairie soil for generations. 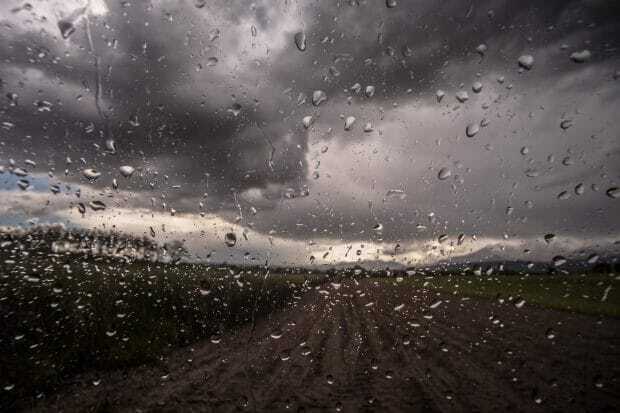 This farming experience includes corn and soybean varietal performance in “dry spots” and “wet spots” and under varying weather conditions at planting, during crop development, and at harvest. The maintenance and improvement of the underground farm tile drainage systems which make farming possible in Piatt County, Moultrie County, and Macon County is an investment judgement area that only comes with on-the-ground experience, which is needed from someone who farms your ground. Trent Brandenburg’s training demonstrates his experience in resume form. Just as important to a landowner is the judgement that comes from lifetimes of farming experience. Both Trent and Jennifer Brandenburg come from farm families. Both remember riding, as children, on farm equipment with their grandparents, uncles, and fathers. Trent has worked as a farm laborer since childhood, both for his father and other area farmers. Trent has been farming on his own since 1993 after college graduation; he has a 4-year agriculture degree from Illinois State University, Bloomington, Illinois, and a two-year agricultural mechanics degree from Lakeland College, Mattoon, Illinois. Trent and Jennifer Brandenburg have been successful in growing their farming operation for nearly two decades. They are raising their two daughters on the farm; one wants to be a nurse like her Mom and the other wants to be a farmer like her Dad. Trent Brandenburg has been farming on his own for nearly two decades, in addition to having grown up on a family farm. He’s acquired both academic and practical training to work in today’s complex agricultural arena employing contemporary agricultural technology and equipment on the farm. He currently operates Brandenburg Farms which offers landowners the flexibility of custom farming, cash rent, flexible lease and more. Call Trent to discuss your immediate or long-term farming needs at 217-763-6704. Service Technician for Gas and Diesel Engines, Hydraulics, Transmissions, Air Conditioning, Two and Four Wheel Drive Tractors, and Combines.